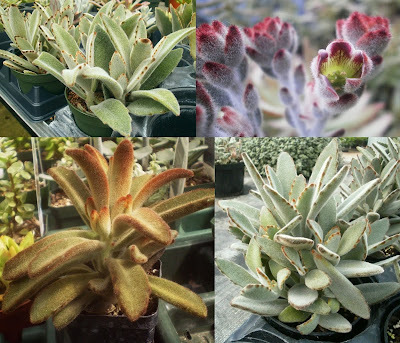 Kalanchoe tomentosa (panda plant) vs. Clivia miniata cvv. Top: Clivia miniata. (Picture by Guérin Nicolas at Wikimedia Commons.) Bottom: NOID cv. 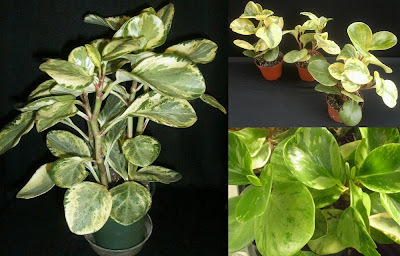 Peperomia obtusifolia cvv. 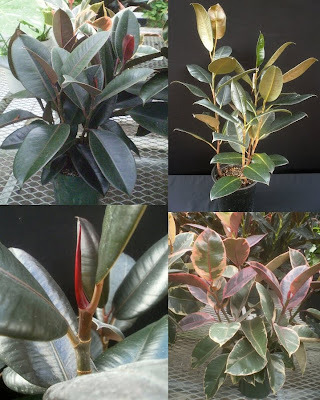 (baby rubber plant) vs. small hybrid Vriesea cvv. Left: P. obtusifolia 'Golden Gate.' 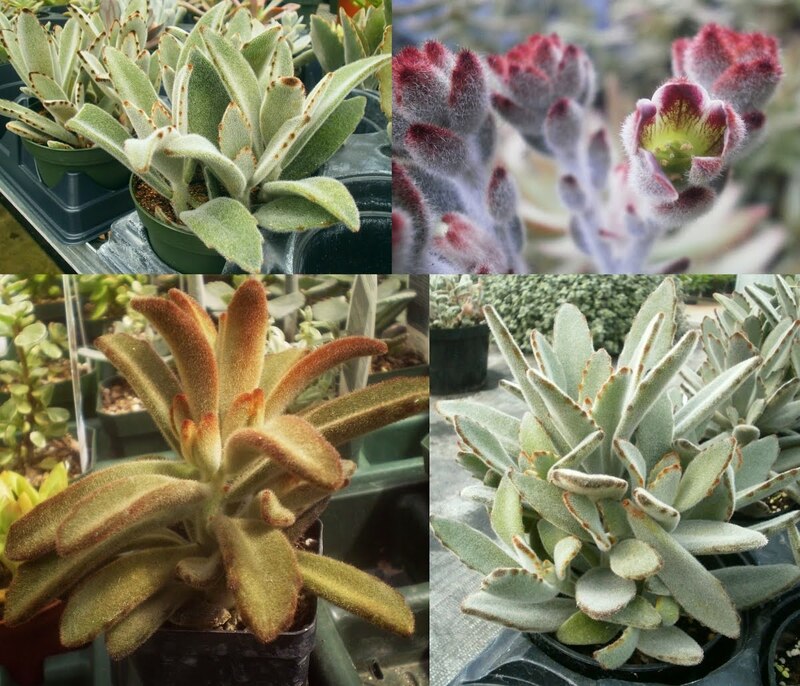 Right top and bottom: P. obtusifolia variegata. Clockwise from top left: C. 'Elaine,' C. 'Black Mystic,' NOID, NOID, NOID. Clockwise from top left: Y. guatemalensis, NOID variegated cv., NOID variegated cv., sprouts from cane section cuttings. Going by your criteria, I'm not completely shocked that I chose ones that are less easy to propagate. I mean, it seems to me that for each "battle," there was one plant that is super-easy to propagate, and another that is potentially less so. 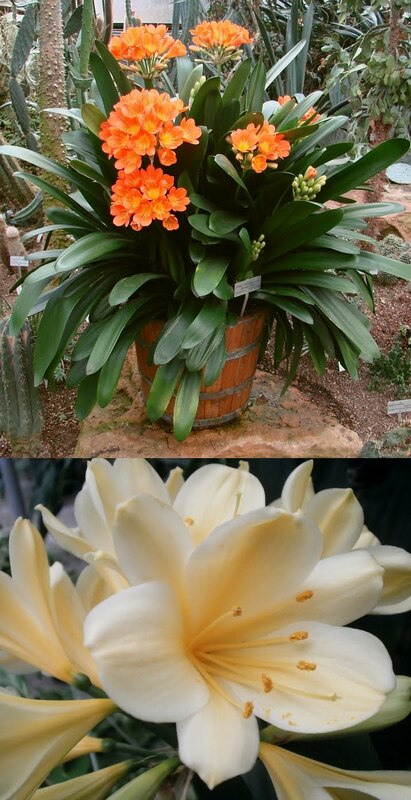 (Although, Cryptanthus/Ficus might be a toss-up.) So I went for the more difficult ones, on the assumption that everyone else in the world would eventually end up with a Kalanchoe/Peperomia/Ficus/Tradescantia collection that they'll be more than happy to share with me. A world without house plants... That is what nightmares are made of! The pairings were randomly generated, so if there is a propagatability split for each pair, it was unintentional. I chose by personal prejudice and bigotry, how else can you vote? I don't know why I picked the ones I did. Some plants just appeal to me more than others I guess. Hmmmm ....! Oh - also, maybe consider floating the polls at the top/somehow alerting their presence? Because I wonder if you're going to miss voters who don't scroll down once you post a non-Rumble entry. There will be a new set of Rumble polls going up every single day at 5 PM CDT for at least the next two weeks (the last set of polls from the first round will go up on 6 Oct). So half the time, the newest post will be a RATJ post. I'm not going to post "regular" posts every day (should be about as often as they were before RATJ started), so people who have the main PATSP page bookmarked will see them at the top of the page occasionally, even if they check during the (Western Hemisphere) day. I'm hoping that keeping the polls open for three days at a time will be enough time for people to find them and vote in them regardless. I may occasionally make reference to past poll results in the "regular" posts too, though I don't want to obligate myself to doing it just yet. I can't picture myself ever voting for a bromeliad. If that was all the vendor had I would probably go buy fish or food or a puppy. Flowers rule, color other than medium green rules, fuzziness rules, ability to thrive in my care rules. Yup, that would be prejudice and bigotry here, thanks Pat for naming my voting patterns so that I didn't have to think too hard. 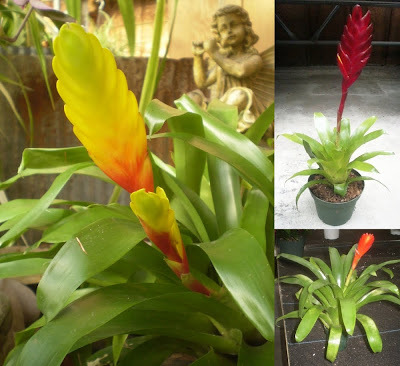 I am difficult and Pro-Bromeliad! Bromeliad fancying runs in my family. 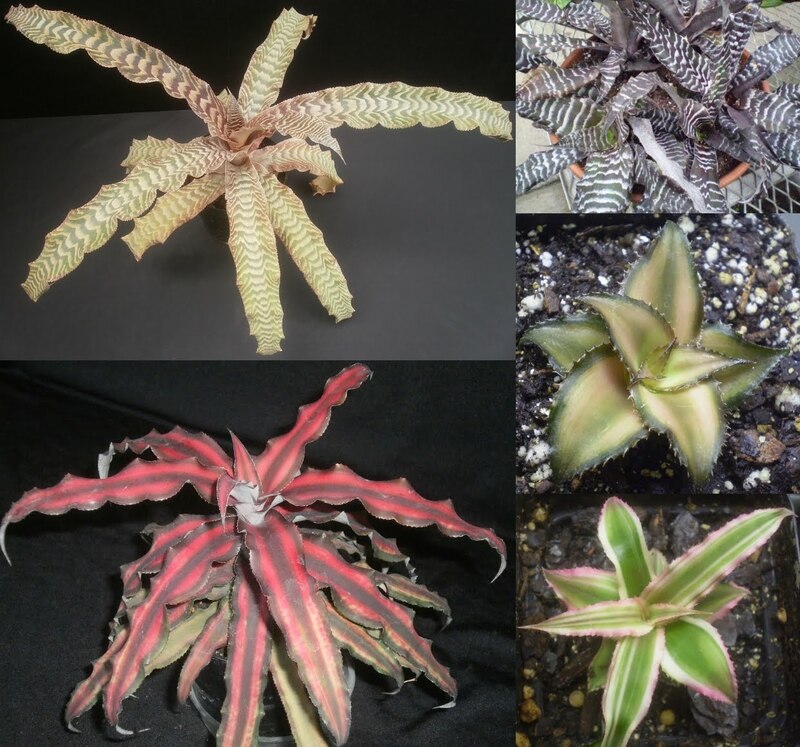 So it is very sad I haven't got a cryptanthus yet. 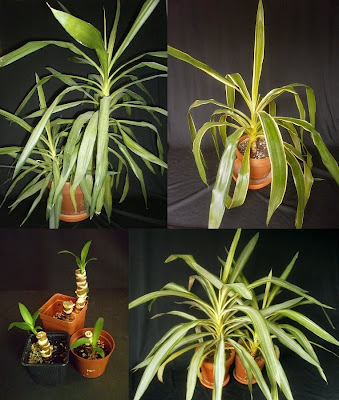 I have guzmania instead. I hate rubber plants. I am tending to vote for plants I have. They demand it. 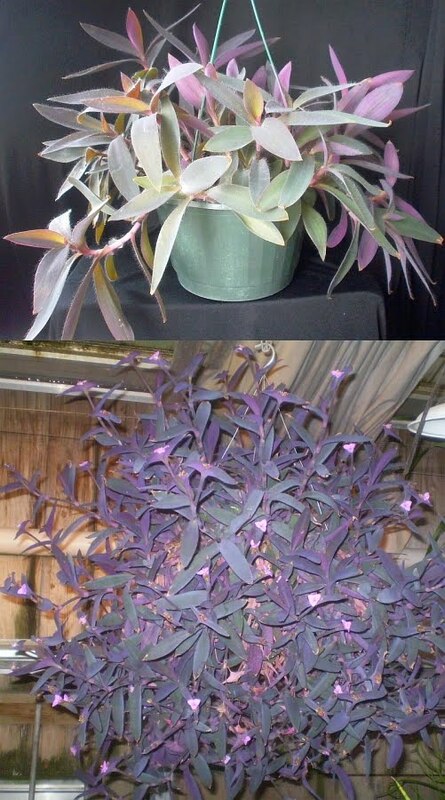 I wasn't sure about Tradescantia though. They're a bit too easy. Like weeds! I like the way Kenneth thinks. That was very logical.